Operation Frankton, 7/12 December 1942, popularly known as "The Cockleshell Heroes", tells how a handful of Royal Marines paddled 70 miles up the River Gironde during the hours of darkness. 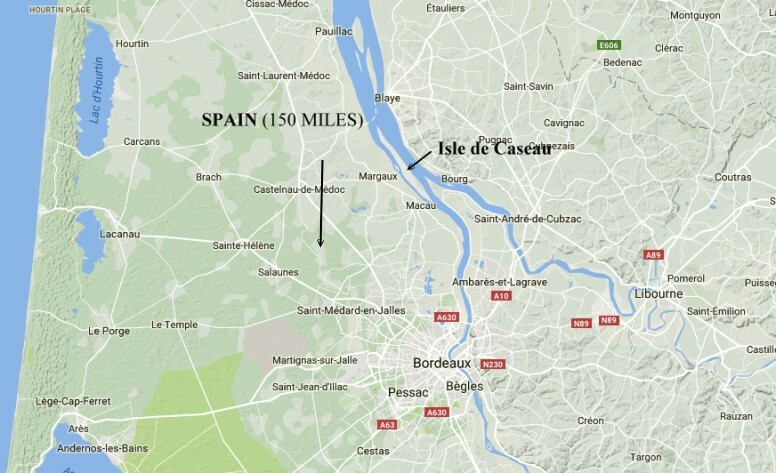 They took 5 days to reach Bordeaux where they laid explosive charges on enemy shipping. 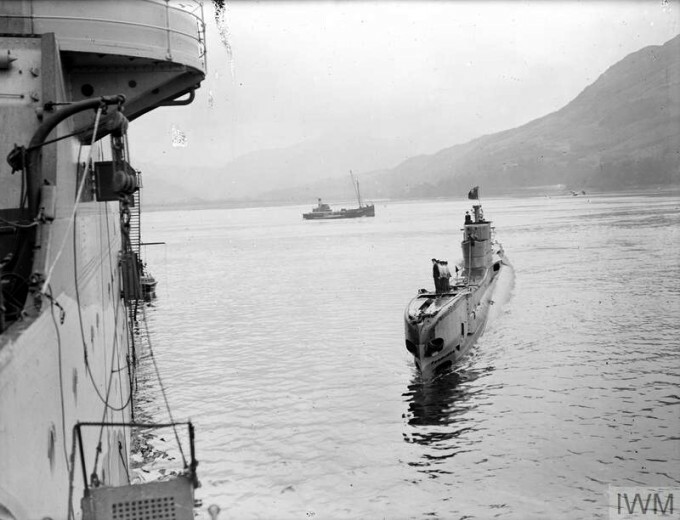 The raid involved the submarine HMS Tuna, 10 Royal Marines and 5 canoes (Cockles). The targets were merchant ships, particularly those from Japan, which had successfully broken through the Allied blockade of shipping. Conventional methods, such as bombing, had been discounted. Operation Frankton was an unorthodox, innovative, imaginative and daring solution. Captain HG Hasler, RM, known as "Blondie", had promoted the idea of using canoes to penetrate heavily defended enemy harbours. He believed that shipping could be destroyed by attaching powerful 'magnetic' charges to their hulls below the waterline. He had pre-war experience of small boats and a period of service with the Mobile Naval Base Defence Organisation, MNBDO, on Hayling Island. However, the Admiralty regarded the idea as impracticable and an attempt by Hasler to interest Combined Operations HQ (COHQ) in the spring of 1941 failed, due in part, to the existence of the similarly equipped Special Boat Section (SBS). In December 1941, the Italians successfully penetrated Alexandria harbour, in Egypt, using so called "human torpedoes". They inflicted serious damage on the battleships, Elizabeth and Valiant. Churchill agitated for a similar capability and Hasler was posted to the Combined Operations Development Centre to develop his earlier ideas. Initially, he and the few men allocated to his team, concentrated on the "explosive motor boat" concept, as successfully used by the Italians in an attack on Royal Navy ships in Suda Bay in March 1941. After a similar, unsuccessful, attack on shipping in Malta, several captured Italian boats fell into Allied hands. For security purposes, these, and similar craft were designated "Boom Patrol Boats". Hasler developed the idea of using these boats and canoes together in future raids; the former to find paths through surface obstacles and the latter to press home the attack. Mountbatten agreed to this approach and so the deceptively named Royal Marine Boom Patrol Detachment, RMBPD, was formed! The plausibility of this designation was enhanced by a regular duty to patrol the defensive boom outside Portsmouth harbour! Hasler set up his operation in Southsea on the Solent. 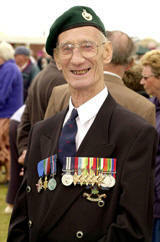 He recruited officers from the Royal Marine Small Arms School at Gosforth and other ranks from the Royal Marine Auxiliary Battalion at Portsmouth. The lightweight SBS folbot gave way to a more robust specification created by Hasler called a 'cockle'. It was capable of carrying heavier loads and was collapsible, unlike the kit form of the folbot, which required assembly. The Germans continued to break the blockade on their merchant shipping and this became of increasing concern to the Allies during 1942. 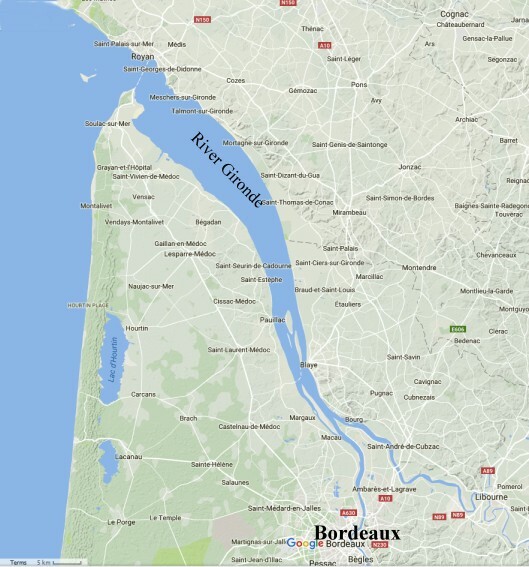 The French port of Bordeaux, about 70 miles up the River Gironde, was one of the main ports involved. Its geographical position, well inland from the sea and heavy defences, ruled out conventional forms of attack and by September 1942, COHQ called on the services of the RMBPD. Hasler joined the planning team, which soon produced a deceptively simple plan. 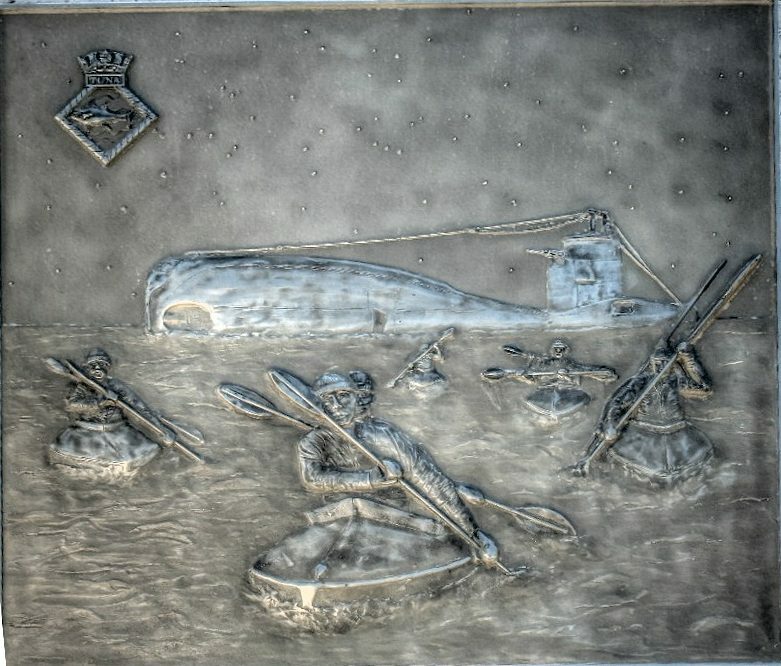 Six cockles, each crewed by two Royal Marines with sufficient supplies and limpet mines for an operation lasting several days, were to be dropped by submarine off the mouth of the River Gironde. The crews would paddle by night and lay up during the day to reduce the risk of detection. In Bordeaux harbour, they would attach limpet mines to the merchant ships, withdraw, scuttle their canoes and make their way overland to Spain. 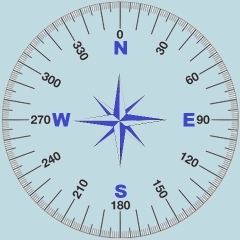 The force was split into 2 Divisions. In A were Catfish (Hasler & Marine Sparks), Crayfish (Corporal Laver & Marine Mills) and Conger (Corporal Sheard & Marine Moffatt) while B had Cuttlefish (Lieutenant MacKinnon & Marine Conway), Coalfish (Sergeant Wallace & Marine Ewart) and Cachalot (Marines Ellery & Fisher). They disembarked from HMS Tuna at 20.00 on December 7th 1942. Cachalot damaged her hull when being passed through the submarine's hatch and played no part in the raid. Coalfish succumbed to a tidal race as the canoes entered the Gironde estuary and a second, more severe tidal race, caused Conger to capsize. Hasler towed the canoe for some time and then advised the crew to make for shore. After circumventing four anchored Chasseur type boats, the formation became more widely dispersed than planned and Cuttlefish was found to be missing. The remaining two canoes pressed on until 06.30 and, after some difficulty in finding a suitable landing site, the men camouflaged their canoes and took cover in low scrub. They had covered 23 nautical miles and the force was reduced to 2 canoes and four men. Some fishermen and women, from a nearby village, discovered them. The locals were persuaded that their best interests would be served by speaking to no one about what they had seen. As the men prepared for the next night's paddling, it was clear that secrecy had been maintained. The second night's paddling (Dec 8th/9th) was uneventful, although the bitter cold caused ice to form on the cockpit covers. The crews landed safely and laid up in a field. This time, their only visitors were some cows! An emerging problem occupied the minds of Hasler and his men. As they progressed up the river, the timing and reduced duration of the tides, was becoming more critical in working out their likely progress. They had, for the first time, also to consider the logistics of their attack on the ships. The following night, there were three hours of flood tide and 6 hours of ebb tide followed by another three hours of flood tide. Clearly progress against the ebb tide would be impossible. On the 3rd night (Dec 9th/10th), they curtailed their paddling and lay low on an island during the period of the ebb tide. They were now behind schedule and could not reach the harbour the following night as planned and there would be sufficient time to complete their tasks and withdraw safely. At 23.00, Hasler established an advance base camp on the fourth night (Dec 10th/11th) within easy striking distance of the harbour. After a night's rest, the men spent the day preparing their limpets and equipment for the attack. Hasler decided that Catfish would cover the west side of the docks and Crayfish the east. The fuses on the limpets were set for 21.00. On the fifth night (Dec11th/12th), both canoes entered the harbour basin without difficulty. Catfish placed 8 limpets on four vessels, including the fast patrol boat, Sperrbrecher. Crayfish also placed 8 limpets on two vessels - 5 on a large cargo ship and 3 on a small liner. A sentry on the deck of the Sperrbrecher spotted Catfish as it turned to make its escape downstream. He shone his torch down but the camouflage proved effective and he took no action. The two canoes later met by chance on the Isle de Caseau. They continued downstream together until the end of the withdrawal, which came at 06.00 hours when the crews scuttled their canoes about 400 meters apart. This was the last time Hasler saw the crew of the Crayfish as they set off on foot for the Spanish border. A German High Command communiqué on the 10th December announced that a sabotage squad had been caught near the mouth of the Gironde and eliminated. Word of the damage caused to shipping in Bordeaux filtered through - mysterious explosions had damaged five ships! In the absence of information to the contrary, all 10 men were posted missing, presumed dead. On February 23, a brief message via the Special Operations Executive (SOE) was received from Hasler, giving details of the three canoes lost on the first day. A week later, Hasler and Sparks arrived back in Britain by air from Gibraltar, having passed through the French Resistance escape organisation. 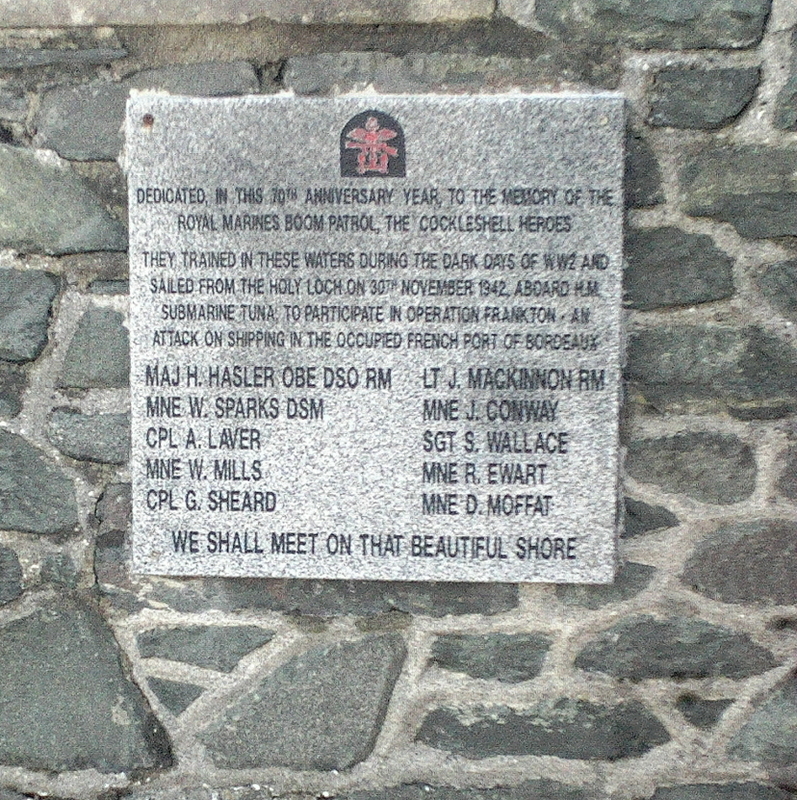 It later transpired that Wallace & Ewart, (Coalfish), Laver & Mills (Crayfish) and MacKinnan & Conway (Cuttlefish) were executed under Hitler's order on Commandos. Sheard & Moffatt (Conger) were presumed drowned. Hasler was awarded the DSO and Sparks the DSM. Laver and Mills received posthumous mentions in dispatches. "Of the many brave and dashing raids carried out by the men of Combined Operations Command, none was more courageous or imaginative than Operation Frankton." 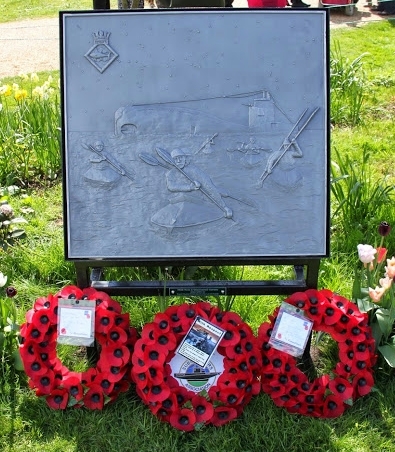 A Memorial to Operation Frankton was unveiled on the 25th April 2015 in the Allied Special Forces Association (ASFA) Grove at the National Memorial Arboretum in Staffordshire. 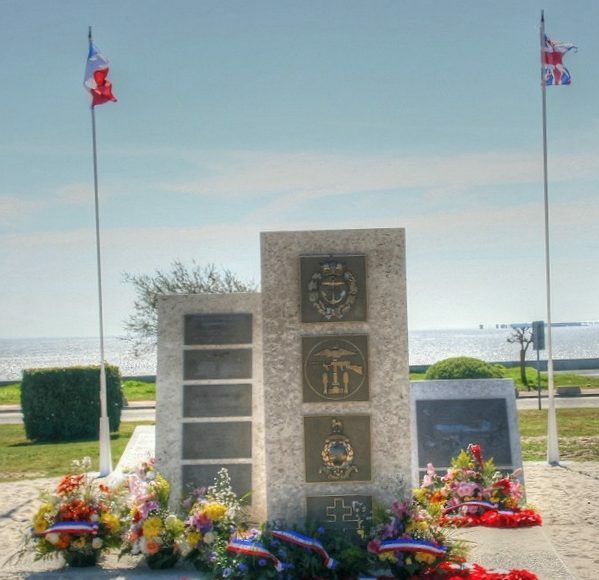 Observers will note that the plaque is a replica of the one used in the memorial at Verdon, France. The ASFA grove is adjacent to the site of the Combined Operations Command memorial. Photos taken by Neil Stott and displayed here courtesy of the Historical Maritime Society. Subject. The Cockleshell Heroes (Operation Frankton). Location. On the shore of the Holy Loch in the village of Ardnadam. 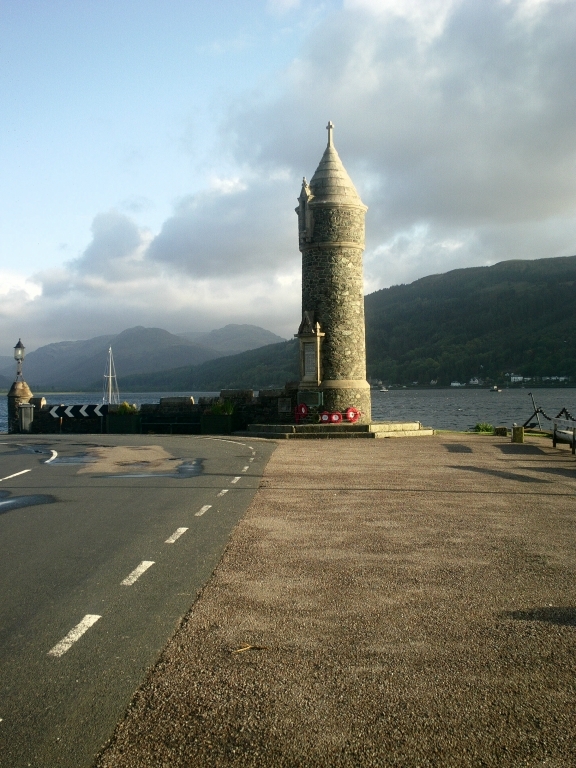 Shortest route from the south is via the ferry from Gourock to Dunoon. The Cockleshell Canoes - British Military Canoes of World War 2 by Quentin Rees. 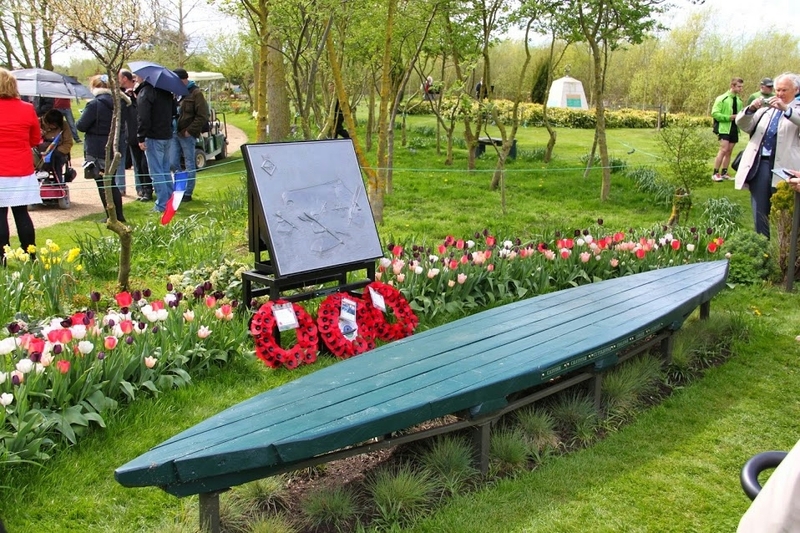 'Cockleshell Canoes' is the complete narrative of the British Military canoe designed and manufactured during WW2. The work is some 90,000 words in length with many vintage and rare previously unpublished B&W photographs. Published by Amberley Publishing PLC. Book launch c. Nov/Dec 2008. 320 Pages with 134 Photographs. Size 248x172mm. ISBN 9781848680654. Cockleshell Heroes by C.E. Lucas Phillips published by Heinemann in 1956. The Last of the Cockleshell Heroes by William Sparks & Michael Munn published by Leo Cooper in 1992. ISBN 0 85052 297 8. Republished in 1995 as a paperback ISBN 0 85052 465 2. "Blondie" by Ewan Southby-Tailyour published by Leo Cooper in 1998. The Watery Maze by Bernard Fergusson published 1961 by Collins. 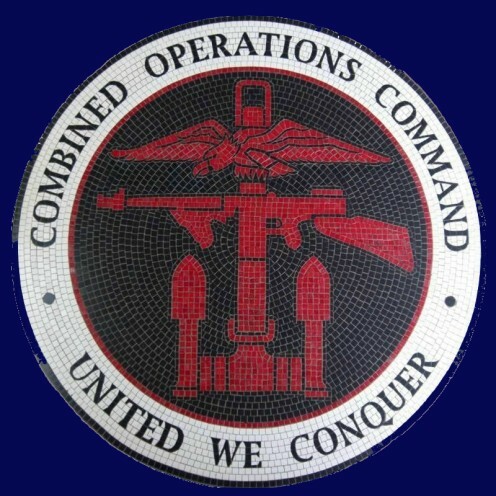 An informative book about the history and development of the Combined Operations Command. 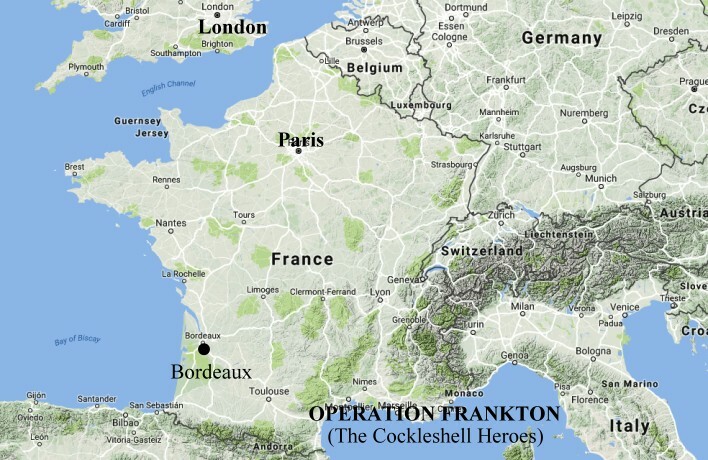 This brief account of Operation Frankton, popularly known as the Cockleshell Heroes, was compiled by Geoff Slee from accounts contained in a selection of the books listed above and with the addition of photographs and maps.